On the Previous blog, I tell you about pivot.one. With Pivot, you can earn free Bitcoin. After that one another app launch with the same earning method. This app is exactly like pivot.one. And the name of this app is Quarry. Which is basically a news app where you also earn Rocx coin. 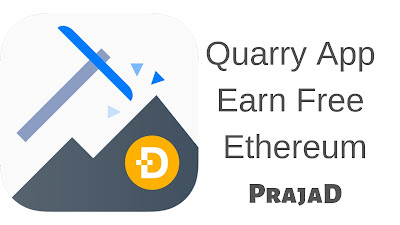 End of they converts into ethereum so you will directly earn free ethereum from this app. This is a new app so make sure to take advantage in the beginning. Because of newly launch its give you good points after some time it’s also cut down point so take advantage of this app. That not mean you stop working on Pivot.one. you also work there and Quarry app earning. it’s just for a few days after that time this app not give you any amount so that is a good opportunity to you download an app and share with your friends. After that maybe not given earning like that. 2. There is no any signup formality to do. That another benefit to save your Identity. 3. After that, you have to collect Rocx. 4. Check daily check bounce. 5. 1000 Rocx means 1$. 6. You have collected maximum Rocx from invite friend. 7. If you follow their facebook page you will receive 100 Rocx Coin. 8. 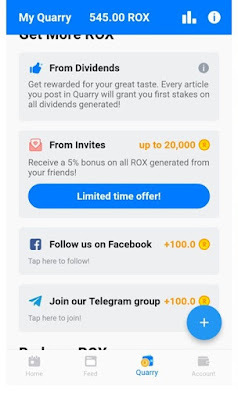 If you join there telegram community you receive 100Rocx Coin. 9. Down find Hi! My name is.. Create your username and get 40 Rocx Coin. 10. After Username, you have to generate the password. In default, It set as 123456. After you have to generate your password. And get 40 Rocx. 11. Complete all task and get the extra Rocx coin. 12. After you have to generate paper wallet. After create you will receive some code. Save that code to any secure place that is your security. 13. When your first comment you will receive 100 Rock coin. And sharing 100 Rocx coins. 14. 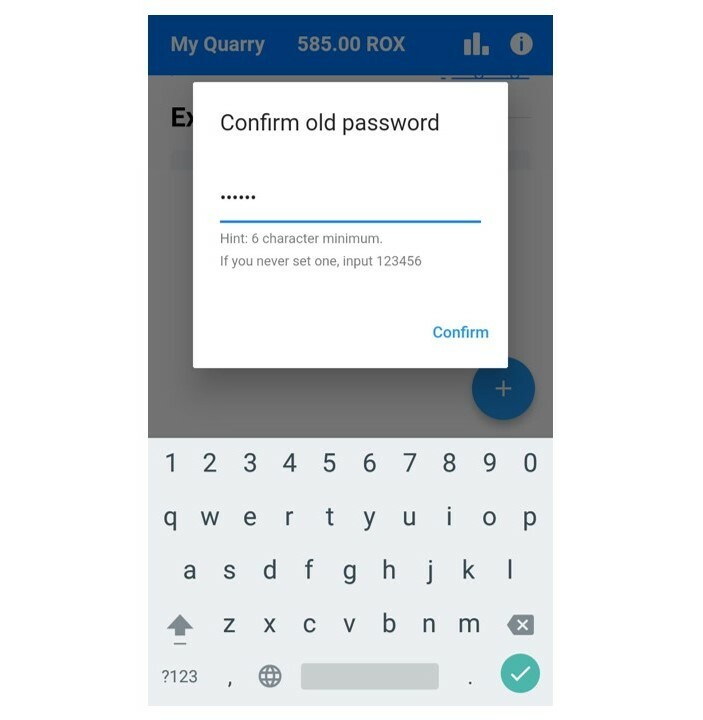 Now, how you can collect the more Rocx coin. That simple this app like Pivot so you have to invite more friend. 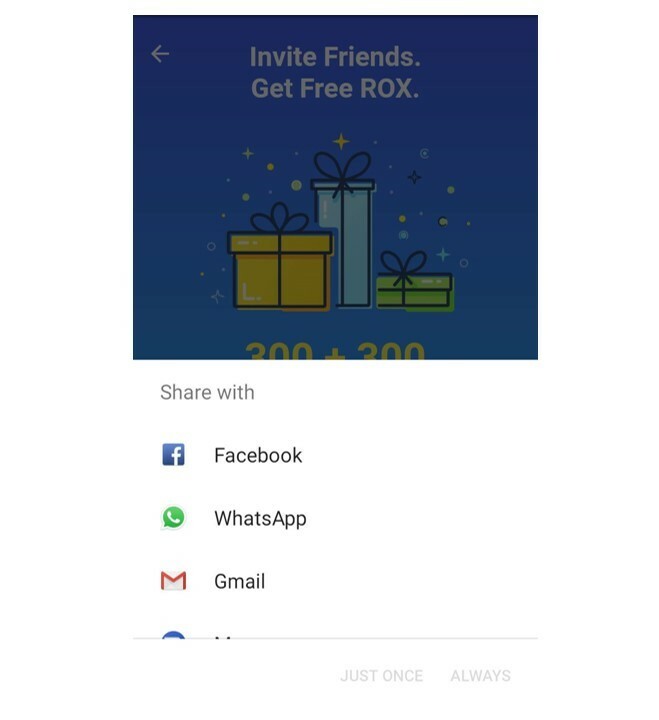 When you invite you will receive 300 Rocx coins and your friend also receive 300 Rocx coins. 15. 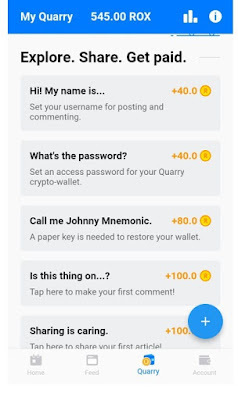 If you want more Rocks coin you can open any article in Quarry App and hit like Button and Comment below then you receive Rocx Coin. Do activity on a post and earn more Rocx. I hope you got good knowledge from this article. So friends start to earn now that type maybe not open in future or maybe it’s open on bulk but they mostly fake. So start earning that time. That is the very simple app to earn money without investing. 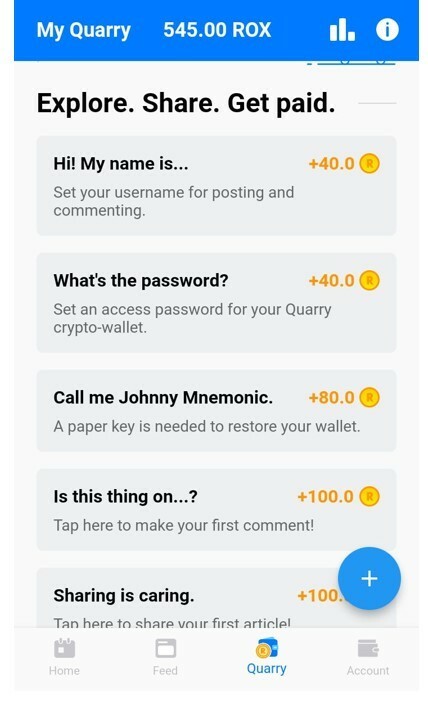 You will receive quarry app payment proof soon. You have just done the activity on an article and invite friends. Just do simple invite friend and share your invitation link on Facebook and other social platforms. When the people join from your link you got Rocx coin and your referral also got coins. So start to earn now. 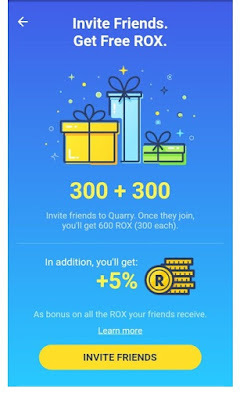 Click Here to Register on Quarry App and get 300 Rocx Coin. So with a click, you will start with 300 Rocx coins.